Have a slim fit all the way to the ankle, hugging the thighs and calves. There’s no tapering or flare in the leg area, just sheer slim perfection. They offer an instant figure-complimenting fit. Stylist Tip: Look for frayed and deconstructed hems, which are on the top of the denim trend game this fall. Give the knees and ankles more breathing room. Are in a true straight cut, where the width of the hem is straight from the hip to the ankle. 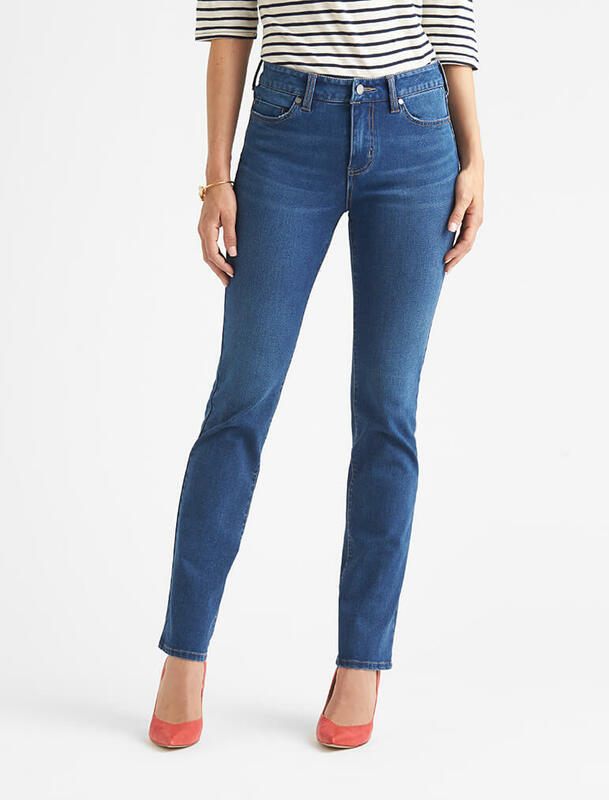 The waistline lies between the super-tight fit of a skinny jean and the relaxed slouch of the boyfriend jean. Stylist Tip: Choose a dark wash with stretch, which with visually slim while holding everything in. 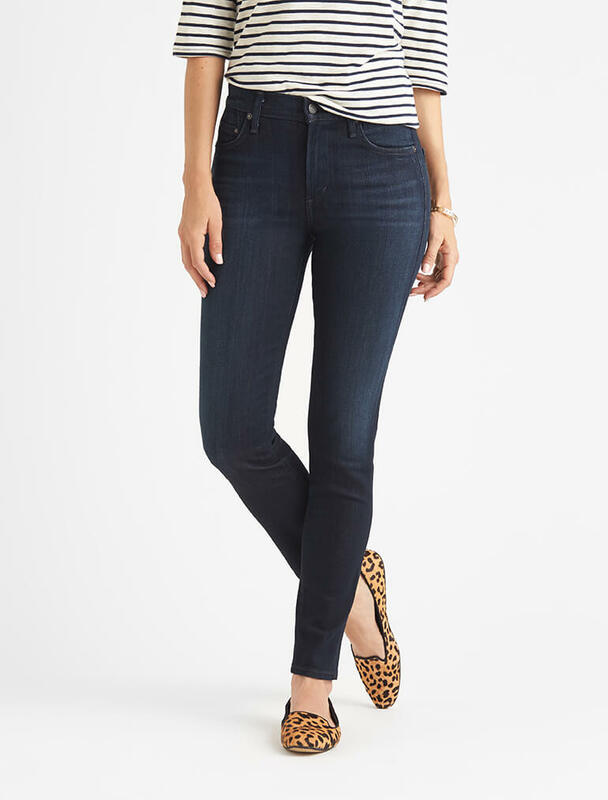 Ready to slip into a pair of skinny or straight leg jeans? To find your perfect fit, fill out your style profile!